Ananke and the rest of the Excoms team thought they would get a little bonding time to kick back and relax. But the world has different ideas. 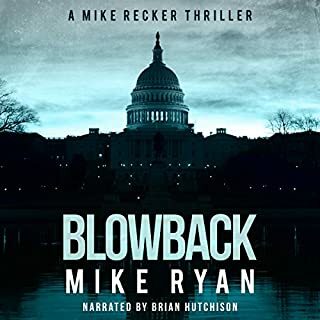 After the organization that they work for discovers that over 100 prisoners from a now dismantled human trafficking operation are missing, the team is sent out to find them and bring them back. With few clues, they must follow a trail that leads from Washington State to Panama and beyond. And when they reach the end, what they find is far beyond anything they ever expected. After the circumstances of Agent 17's death, the CIA turns to a specialist to help track down the man they think is responsible - John Smith. Though Recker knows Centurion is coming, he doesn't change how he operates and winds up on police surveillance cameras. Feeling the walls closing in, Jones wants to pack up and move to a new city, though Recker has reservations about leaving. It all boils down to a final confrontation between Recker and his former employers - one he may not survive. Her manipulations have thrown the time line he knows into chaos, and now he's locked away in an unfamiliar world, without the device that would allow him to fix what has been destroyed. Will Denny be able to bring back the life he knew and the people he loves, or will he be trapped in this violent time line forever? The wait is over, the book is out and I’m very satisfied with the end result. 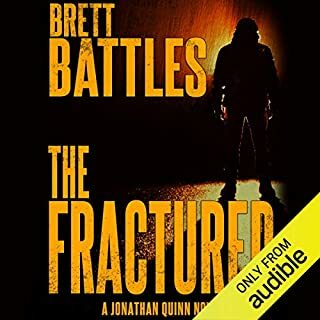 Yes, I’m referring to Survivor, the 3rd and the last book in the awesome Rewinder trilogy by bestselling and award winning author Brett Battles. 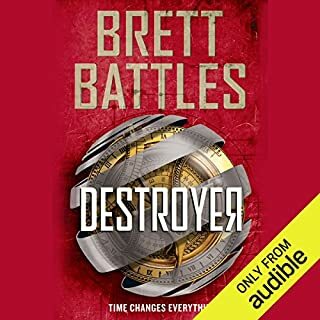 We all know that Brett can write anything, from adrenaline filled thrillers to heartbreaking dramas and even to sci-fi, but with Rewinder he created a great, thrilling and unputdownable saga revolving around time travel and the butterfly effect. 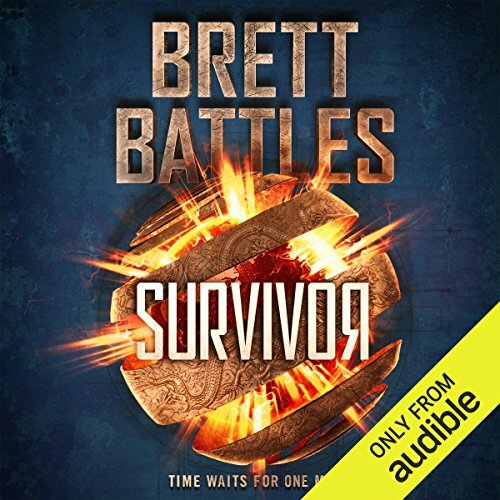 Survivor was released as an audiobook two days ago and after I highlighted its availability on Audible I spent almost all day yesterday listening to Vikas Adam as he delivered another stunning performance by giving life once again to Denny Younger and to his adventures. Survivor picks up the story immediately after the end of Destroyer. Denny, our young Rewinder, is in a whole lot a trouble as the things are not looking good for him. He is a prisoner, he has no access to his Chaser and who knows if the things he messed up in the previous books can ever be fixed… Yes, I’m vague, but with a good reason. 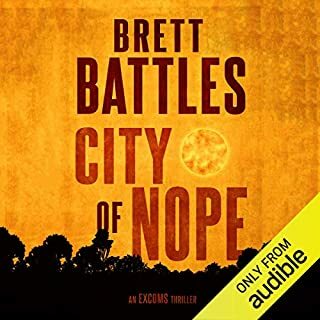 This being the 3rd book in a series, I still don’t want to spoil anything for the potential new readers and I think there will be a lot of them as the trilogy has ended and all the books are absolutely a thrill to read or to listen. The book is a blast! Denny makes new friends and even more enemies in a new world ravaged by war. His path is filled with dramatic events and a lot of pain, but it remains to be seen what he really is! Is he a Rewinder, a Destroyer, a Survivor or, maybe, all three? You’ll have to find that out for yourself because I won’t tell you anything else about the story. 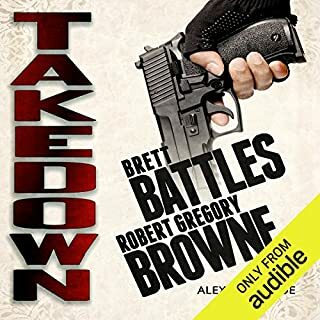 Brett Battles ends Denny‘s adventure with a bang, and I can admit that I didn’t saw it conclude in this way. He is one of my favorites authors out there, I listened to all of his books and he never disappointed me! If you’ve read the first two books in the Rewinder Series you already know in what kind of trouble Denny was and how bad things were. 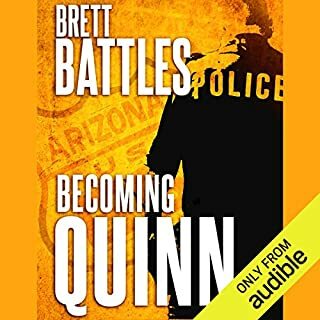 Well, let me assure you that Brett picks everything up, he gathers all the plot threads, he resolves everything and he wraps it all in a nice, satisfying story. I don’t know if you remember my review for Rewinder, but that was my first narrative experience with Vikas Adam at the helm of an audiobook. Since then I listened to more books performed by Vikas and I can tell you that he does a fantastic job with any project that he works on. Vikas Adam has a real talent for voices, for accents and, boy, he can act! He delivers another stunning, perfect performance, giving life with passion to all the characters, assigning to each one a different voice or a specific accent, and that makes it very easy for the listener to differentiate between them. 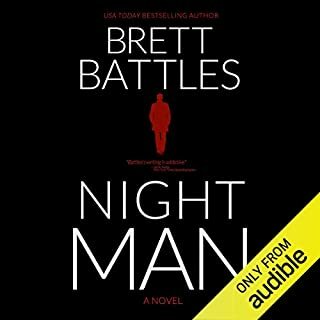 He switches seamlessly from male to female protagonists, he does some great slavic accents and he infuses the experience with the right amounts of urgency, drama, nostalgia, dread or pure terror to highlight each scene exactly the way author Brett Battles envisioned it in his mind’s eye. Denny Younger is a Rewinder and a Destroyer, but is he a Survivor? 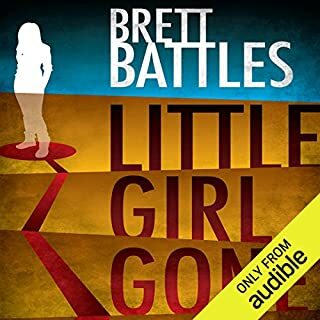 Solid writing by Brett Battles and perfect performance by Vikas Adam make this book an instant favorite! Time travel-- is this the end or the beginning? That horrid snob girl from the Institute who has it in for Denny has made about a dozen changes to the time line that Denny has chosen to make permanent. Denny has to discover what she did then go back and stop her so she can't make them. He has to be sure to undo each and every one of her tangled changes or the time line won't come out right. And even if he kills her at one event, she is still there at the others. But Denny is caught and imprisoned, separated from his chaser, and things are looking pretty grim and impossible. Nevertheless! Denny is one clever boy. How he decides to deal with snob girl is quite innovative. Then the ending is actually a surprise, totally not what you'd think, and it makes you stop and think about time,and all the things you wish you could go back and change. I'd never heard of Vikas Adam before this, but he did an awesome job voicing everyone from the young people to the old, the males and females, the snobs and the meek. Good narration. I can recommend this series to anyone who likes time travel. It's a great Youth series that older folks can enjoy as well. Good plot, great ending, and all the loose ends are tied. Really enjoyed it listened to the entire book in one day. Great, but I'm happy the trilogy is complete! 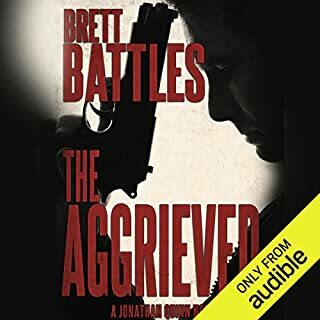 Book 11 in the Jonathan Quinn series, titled The Aggrieved, has been out in Kindle format since June 6, 2017. I anxiously await its availability in audio format. I may be forced to read it in ebook format. I already have a copy. 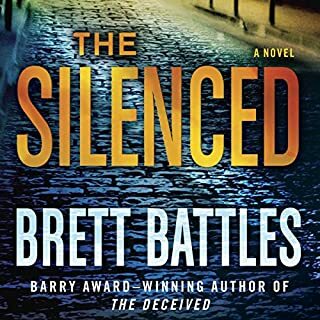 Author Brett Battles has been experimenting with his writing for some time now. First there was only the Jonathan Quinn series, then there was the excellent Logan Harper series, then on to the extraordinary dystopian Project Eden series, coauthoring the Alexandra Poe series, and finally in full Sci-Fi mode with the Rewinder series and Mine. 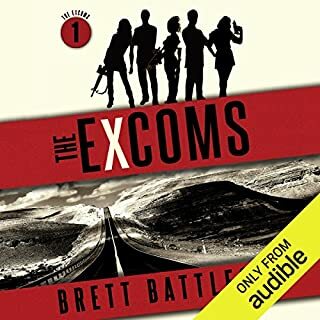 There is also the Quinn spinoff The ExComs. Along the way he began self publishing which has reduced the price of his books but has also delayed the release of the audio versions. Survivor is the third and final novel in the Rewinder time travel sci-fi series. It's fun, but I'd prefer more Jonathan Quinn. Vikas Adam does a wonderful job of narration. Mr Battles has given us a wonderful conclusion to a great series. While Mr Adam has, once again, brought it to life. I will be following the work of both. I felt this was a great conclusion to the Rewinder trilogy. Time travel stories are always entertaining. The trilogy would be great material for a sci-fi movie. even though I liked most of it but I can't ignore there are many time paradox problems . okay the time travel it self is a paradox . but writers have the freedom of making their rules to avoid those paradoxes . but even with the rules of this time travel novel . paradoxes are everywhere . the book got problems from the start . if u ignore them anyway u will enjoy it . This book was very surprising and fast passing. Great way to finish this trilogy, like always Vikas Adam performance is great. I hope this series will continue, all this time traveling mix with history was very entertaining. Get this book and the trilogy. You will not be sorry you did. Brett Battles has written another great installment in the Rewinder series. This addition took many twists and turns and kept me guessing until the end. Vikas Adam gave a wonderful performance bringing it all to life. 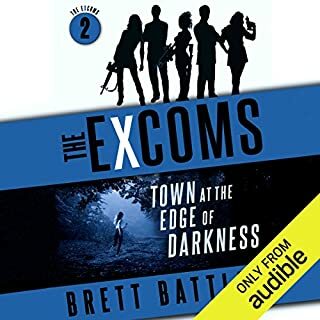 I highly recommend this book/audiobook to sci-fi fans.